Update on December 13, 2017: After 15 days of detention, poet Mustafa Sbeity was released on Tuesday, December 12, 2017, after paying a bail of 500000 L.L. (around $333), according to Annahar. However, the public prosecutor did not drop the charges against Sbeity and his case remains open. 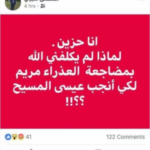 On Monday, the Internal Security Forces’ Intelligence Unit arrested local poet Ahmad ‘Mustafa’ Sbeity for his Facebook musings about having relations with the Virgin Mary, sparking another round of challenges to free expression in Lebanon. The 65-year-old Sbeity, who lives in Kfar Sir near Nabatieh, wrote on his Facebook page, “I am sad. Why has god not asked me to sleep with the Virgin Mary to give birth to Jesus Christ??! !” The post elicited a negative reaction; people shared screenshots of the post, claiming that it incited sectarianism. State Prosecutor, Judge Samir Hammoud, told the National News Agency that Sbeity was being detained on the basis of insulting the Virgin Mary and that he is being interrogated. Several political news websites seized the opportunity to condemn the content of his post and urged the government to take action against him. 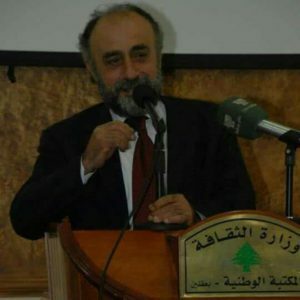 The official website of the Lebanese Forces party featured an article with the accusatory headline “Mustafa Sbeity Offends the Virgin… and he is guilty until proven otherwise” and demanded immediate intervention from the authorities. Lebanon Debate, a website known for its sensationalism, called Sbeity’s post “disgusting” in a press release. Selective amplification of social media posts and biased coverage has become a hallmark of Lebanese broadcast and online media reports on free expression cases over the past year and raise questions about the influence of such coverage on legal proceedings. Sbeity’s lawyer, Chawki Chreim, expressed concern that “judges become extra cautious about releasing the detainees when their cases are circulating on the media. I think that had the media and social media not been amplifying the case, they might have been able to release him after the investigation.” Chreim is also a representative of the Syndicate of Lawyers in Nabatieh. The harassment and detention of social media users who have challenged religious and political norms is not new. Over the last 12 months, SMEX has recorded nine arrests of people in Lebanon who expressed critical opinions on social media. In 2014, the ISF arrested Ali Itawi in Dahieh for posting a picture of himself kissing a statue of the Virgin Mary. Itawi first posted the picture in 2011, but it only became controversial three years later, when he made the picture his Facebook cover photo. An uproar ensued in the media that prompted then-president Michel Suleiman to weigh in and encourage the authorities to do something. Perhaps Sbeity violated the Penal Code, but Article 474 has not been updated since 1954, and as an artefact of another time, it enables the Lebanese government to prosecute anyone who poses a challenge to prevailing religious and sectarian norms. Moreover, the use of Article 317 creates a dangerous environment for expression that effectively prevents people from one sect from using social media to critique, discuss, or challenge the religious practices and beliefs of people from another sect. 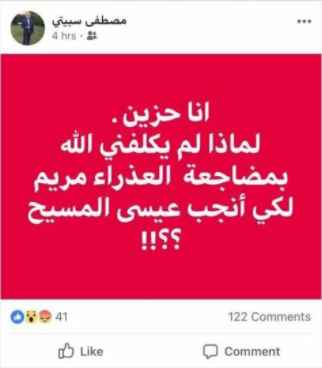 Sbeity’s post clearly neither constitutes hate speech nor incites violence against Christians in Lebanon.